Information technology is constantly evolving, constantly introducing new data center equipment in an effort to increase capacity & efficiency. As part of the dynamic process, server moves and IT equipment upgrades present a complex physical challenge. IT professionals are tasked with handling heavy servers without the proper tools or standardized procedures. ServerLIFT solves that problem with specialized solutions to increase safety and streamline daily operations. Industry leading data centers rely on ServerLIFT. ServerLIFT is revolutionizing the IT industry world-wide with Data Center Certified lifting solutions. Server LIFT’s innovative products effectively lift data center equipment and handle any server move in confined environments. With a focus on reducing risk of injury during critical server moves, ServerLIFT is the leading global provider of solutions for handling data center equipment. – Install servers equipment with 1 person, freeing up employees to complete other critical data center tasks. Introducing the best-in-class solution for managing the heaviest enterprise server equipment for any large project or data center migration. 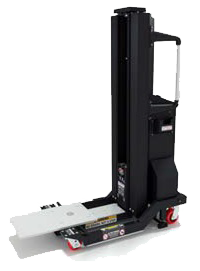 The only compact lift rated for 1000 lbs and built specifically for the data center, the SL-1000X ServerLIFT is perfect for large scale moves and lifting heavy equipment through narrow data center aisles. 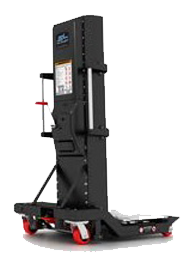 The SL-500X Powered ServerLIFT offers advanced technology for lifting critical server hardware and IT equipment. As the industry standard, the innovative SL-500X Server LIFT enables seamless server hardware installations. 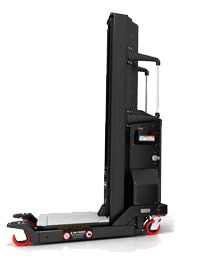 Built specifically for the data center, the SL-500X ServerLIFT has become the industry standard world-wide. With a 500 lb. lifting capacity, the SL-500X improves daily data center management while lifting servers, blade chassis, switches and any other heavy IT equipment. The SL-500FX Front Loading Powered ServerLIFT is the only data center certified lift capable of supporting equipment up to 20″ into any rack . Combined with all of the features of the SL-500X Powered ServerLIFT, the unit is designed with a different platform configuration to rack servers deeper for easy installation. 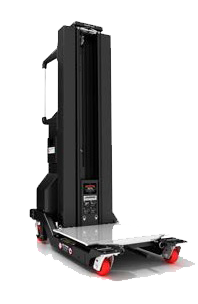 The SL-500FX ServerLIFT features a durable built-in gliding shelf that moves forward into the rack, to help pre-populating or pre-configuring racks on pallets. This design is also ideal for data centers with wide aisles and unconventional floor plans. The U.S. Department of Labor states that lifting IT hardware as light as 50 lbs significantly increases risk of injury. The SL-350X® Manual Server LIFT alleviates this concern, creating a safer work environment and streamlining data center operations. With features designed specifically to reduce joint stress and enable accurate alignment, it is the best solution for smaller-scale data center moves.